A new photo of Fidel Castro has been released as the ailing former leader met with a Spanish reporter about current events for more than two hours last week. 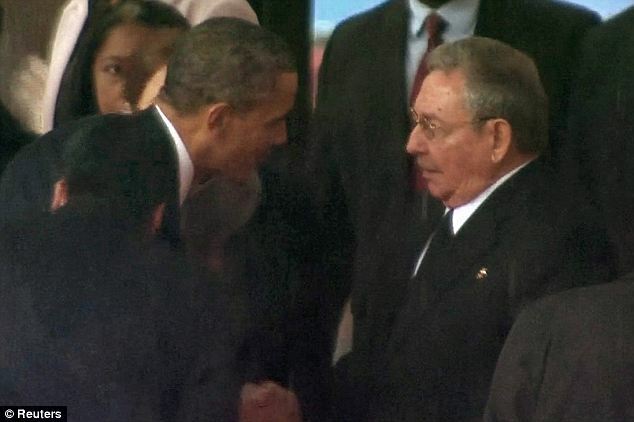 A photo of the discussion appeared in official media Monday after days of speculation about the former Cuban president’s health, fueled when he didn’t comment publicly on Nelson Mandela’s death. The former South African president was a close ally, thanks to Cuba’s backing of Angolan fighters who battled forces supported by the previous pro-apartheid South African government of the 1980s. 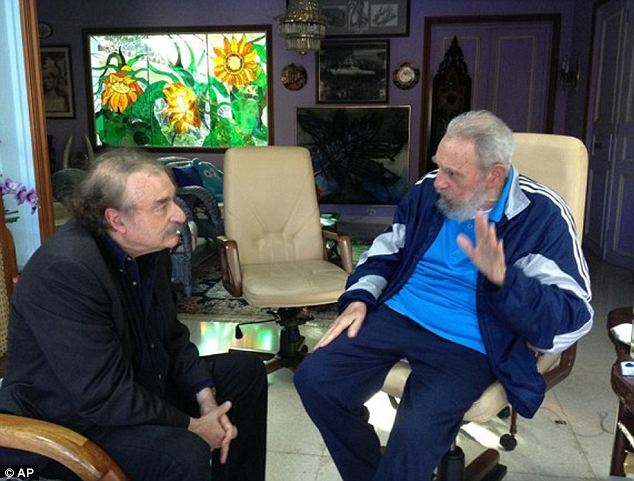 The photo shows Castro, 87, seated and wearing a blue sweatsuit, looking intensely at writer Ignacio Ramonet and gesturing with his left hand. Mr Ramonet and the website Cubadebate say the photo was taken Friday. The reporter told the AP that he and Castro discussed a wide range of topics including Mandela, Venezuelan politics and climate change. ‘I found him to be in excellent health and in a good mood, physically, mentally and psychologically,’ Mr Ramonet said. Castro left power after 47 years after suffering serious intestinal bleeding in 2006, handing his duties to his brother Raul. Mr Ramonet has written extensively about Castro and late Venezuelan President Hugo Chavez, who died of cancer last year. ‘He’s interested in everything. The environment, the climate crisis, Chile, Venezuela, South Africa,’ Ramonet said of Castro. ‘I found him alert, on top of current events. ‘We spoke a lot about Chavez,’ because Friday was the 19th anniversary of the two leaders’ first meeting. ‘It’s clear that Castro hasn’t forgotten him and maintains great affection for him,’ Ramonet said. 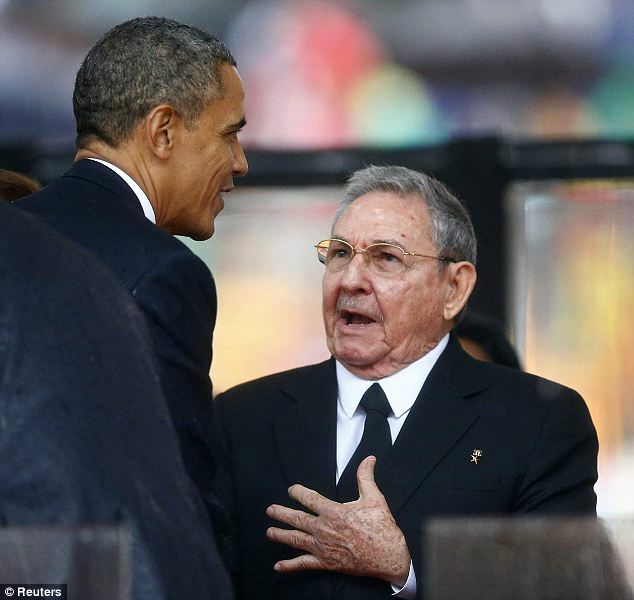 While Fidel Castro has been out of the spotlight due to his health, his brother Raul has been making enough headlines for them both as he caused a stir after shaking President Obama’s hand during the public memorial ceremony for Mandela in South Africa last week. Besides the obvious optics that came with the handshake was also the revelation that representatives from the two historically antagonistic nations had already been in talks for six months.